This study explores the model derived from Freudian and Lacanian psychoanalysis, via Marxism and semiotics, of looking at film. It retraces the steps of film theory from ideological criticism of the late ‘60s to spectator studies in 1988 when the book was originally published. 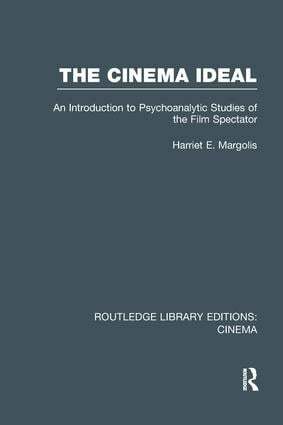 Psychoanalysis enables a discussion of the cinema’s role as a social and political force and this book enters a discourse of the politics of representation. Reconstructing discussion of basic issues, the book addresses our instincts and defences in reacting to cinema, the similarity between mental processes and cinematic technique, narrative techniques and the ‘cinematic apparatus’. Importantly, the book concerns itself with the concept of ideology and how the filmviewing experience engages the spectator in a complex net of stimuli presenting representations of an ideal world and the effect of this within film studies.